Ready to take the next step in your Yoga Teacher career by broadening your experience with our Yin Yoga Teacher Training program? This 50 hour program will provide you with a unique opportunity to deepen your understanding of yin yoga, expand your skills and open yourself up to moving closer to your most authentic self – and learn how to share your passion with the world around you. 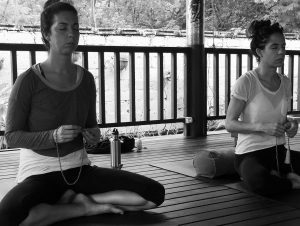 This Yoga Teacher Training program is designed for the yoga teacher who is ready to take the next step in their Yoga Teacher career by broadening their experience and offering to include the magical gift of Yin Yoga. 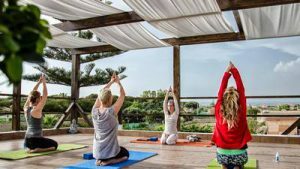 Each day will include yoga workshops in the style of Yin Yoga, guided meditation and pranayama, philosophy and yogic discussion, with full support from the training team. You will discover your authentic voice and gifts as a teacher, create inspiring and meaningful themes, refine the art of observation, learn how to really see your students, design a self practice that will be the basis from which your own teaching style will emerge, and you will learn how this creates not good but fantastic teachers. You will learn to understand better how to skillfully sequence group yoga classes. You will learn to embody the anatomy and philosophy of yoga, cultivating a deeper understanding of subtle body anatomy that you can sprinkle into your classes, and take further into better understanding your own practice and body. You will be taught how to modify poses for beginners or advanced practitioners in your class, ensuring that each yogi takes from their practice what they need. You will learn verbal cues, how to offer appropriate demonstrations, how to adapt, or assist your yogis when they can go melt deeper into their practice, or simply need help with their own unique alignment. We will discuss the philosophy of where yin yoga came from, and how it continues to evolve. Attendance of this course allows 200 Hour RYT to submit this course as 50 CED (continuing education hours) to their record with Yoga Alliance. It is highly recommended that you have had at least 6 months – one year of regular practice prior to the start of the course to help to get your started on your yin yoga teacher journey. During this course, you will be staying at Floripa Yoga & Kitesurf House. 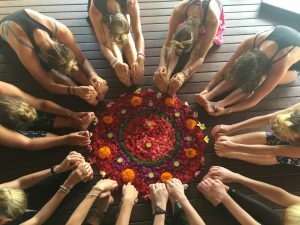 The team of Floripa Yoga & Kitesurf House believes in living a healthy life in harmony with nature and the rhythm of the sea, and you will see this reflected in your rooms, the gardens, meals, and the service to you. 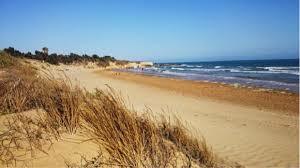 The bed and breakfast are located 30 meters away from the sandy dune beach of Santa Maria del Focallo. The stunning beach is 13 kilometers long and was awarded the Blue Flag for the cleanliness of its waters. It is the ideal place to relax and have a deep contact with the sea and the elements. Accommodation remaining is now shared rooms only so the opportunity to make new friends! The bed and breakfast is composed of three houses surrounded by a lush garden. 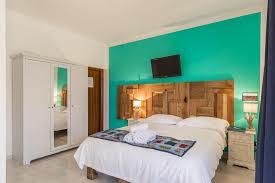 All of the rooms have been designed for your comfort and relaxation with modern simplicity and color. With hot and cold air conditioning, television, refrigerator, private bathroom, and Wi-Fi, you will have all the benefits of a hotel with the warmth and freedom that only a bed and breakfast can give you. The Lead Trainer on this course will be Caroline Layzell. She was trained by Jo Phee, one of the first certified Yin Yoga Teachers in the world, previously a senior student and assistant to the founders of yin yoga themselves – Sarah Powers and Paul Grilley! She is an E-RYT 500 (which means she is an “experienced registered yoga teacher with Yoga Alliance) who over the course of her teaching experience, has taught well over 6,000 hours of public and private classes, workshops and retreats, far exceeding the Yoga Alliance requirement of 2000 hours and 2 years experience to be able to be a Teacher on a YTT program.